I’d just like to point out that all offending, noisy articles have been banned from the room until Millie’s homework is finished. 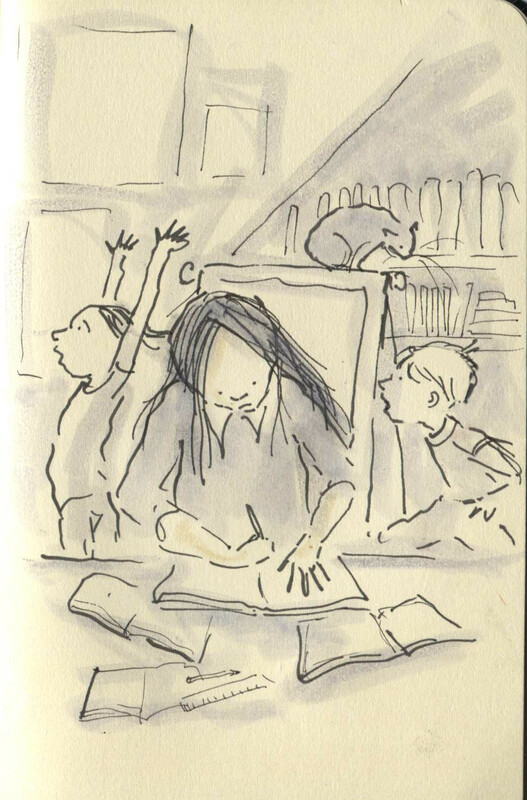 Posted on September 23, 2014, in Uncategorized and tagged Children, Doodlemum, Drawing, Family, homework, Humour, Illustration, Life, Pen and Ink, school, Sketchbook. Bookmark the permalink. 6 Comments. Very sweet picture! Millie seems used to the ruckus, fortunately! She has a good ability to filter background raucous! That’s an excellent skill to have, especially with brothers! She needs some ear defender headphones!